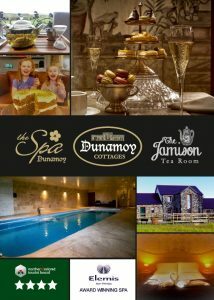 Dunamoy is a family run hospitality business based in Ballyclare, Newtownabbey. The ethos of the owners and staff is to “arrive a guest but leave a friend”. Dunamoy is a collection of beautifully restored 18th Century stone buildings which opened in 2012 and now welcome returning clients from across the Globe.